Next weeks I will share with you some tests done during the testing RF2013. This week I made a very big and newbie error in a set up scene, the grid domain is too big. Next pictures show the difference between adjusting the GD to the full scene and only to the simulation volume. 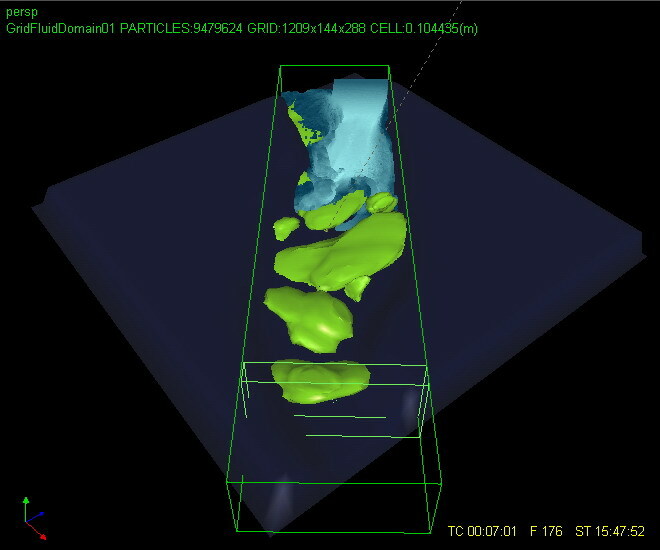 Always try to adjust the GD to the simulation volume and you will get a better simulation performance, in this case I get double number of particles, with less number of cells and more frames simulated and approximately using same time for the calculation (Simulated in a quad-core).